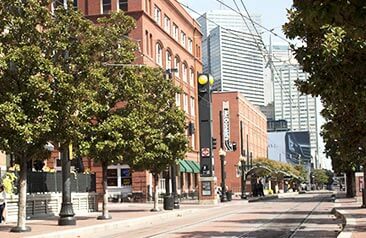 The West End of Downtown Dallas is known for its rich history. It is a popular destination in Downtown Dallas. More than 7 million people visit the West End each year, making it one of the leading tourist attractions in the city of Dallas. The district is comprised of century-old brick warehouses that have been refurbished into urban residences, restaurants and shops. The West End has a historic aesthetic and charm, that features attractions, live entertainment, museums, dining, and shops. From world-class museums like the Sixth Floor Museum to authentic shopping for Texas western wear at Wild Bill’s Western Store, dinner at YO Ranch Steakhouse, or Ellen’s and ending the day with a cold one at Tuttas. There is plenty to do in the Dallas West End. 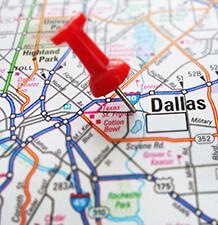 It is close to all other Downtown Dallas destinations so you can stop by for a quick bite, come listen to live music, or visit any of three historical museums. One of the best things about the West End is its walkability and bike-ability Although the district is full of attractions and things to see, you can navigate through each of your destinations safely and efficiently. The West End offers a variety of activities. A family of four can enjoy a day at the Dallas World Aquarium followed by a meal at RJ Mexican Cuisine. A young couple can enjoy a romantic night out with a lobster dinner at Palm Restaurant before a horse drawn carriage tour through the city. A couple of friends can grab a drink at Hard Rock Café before or after cheering on the Dallas Mavericks at the American Airlines Center. A group of tourists can take a Segway tour through the West End to Dealey Plaza, the JFK Memorial and learn the history of Dallas. You can museum-hop from the Old Red Museum to the Dallas Holocaust Museum and the Sixth Floor Museum. No matter what you enjoy or where you are from, you will find something you love at the Dallas West End. It is truly a go-to entertainment destination for Dallasites and tourists alike. How do I get to the Dallas West End? Located east of I-35E and south of Woodall Rodgers Freeway, the West End is conveniently located near many highways for those visiting from outside of Downtown Dallas. There are lots available for parking as well as metered street parking. The DART Green, Red, Orange, and Blue lines all stop at the West End DART station. We are walking distance from the Dallas Convention Center, Victory Plaza and the Perot Science Museum. The West End is a non-profit 501(c)(6) organization dedicated to the preservation and development or Dallas’ West End Historic District…………..